Set to open in the Spring of 2016, Hakkasan Group has formally announced the arrival of JEWEL, a new nightlife venue to take over the space that has been sitting dark near ARIA Resort & Casino’s north entrance. “The addition of JEWEL to ARIA’s entertainment and nightlife profile will provide our guests with a new and exclusive nightclub destination.” Says Bobby Baldwin, President of ARIA Resort & Casino. Aria’s Haze was officially taken over when Hakkasan purchased the Light Group months ago. Joining into a partnership with MGM Resorts and Dubai World, Hakkasan is re-imagining the space in the gorgeous Las Vegas resort. Haze, the previous venue to occupy the ARIA location, was shuttered last November after an unfortunate incident involving inebriated guests leaving the club and becoming involved in an automobile accident. Now, the new multilevel venue will mesmerize guests with a sultry and sophisticated main club, an overlooking mezzanine and strategically placed VIP rooms. 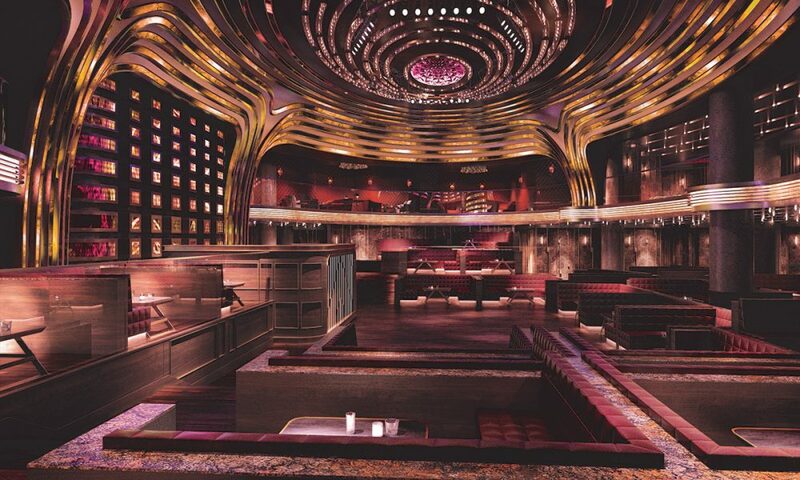 While the last two nightlife locations opened by Hakkasan were more than 70,000 square feet each, JEWEL is going to be much smaller, which is exactly what the group wants in order to create a personal, seductive feel. At only 24,000 square feet, JEWEL will focus on a more intimate nature, reminding guests of something precious and fancy. While the venue strives to keep the focus on the longer-lasting factor of architecture and atmosphere, the group still plans to include some technological touches that will keep patrons on their toes. Brand new dual-sided LED screens bring a futuristic edge to the design of the club, with a 360-degree DJ booth and special lighting that will remind club-goers of similar experiences at Omnia. Hakkasan group has noted that the entertainment in this venue is going to embrace variety, and feature a mix of music programming. Based on the information submitted by the Hakkasan group so far, there has been a definite push to complete the project and announcement sooner than later, however, the group has been thankful to MGM Resorts for being patient and providing them with the proper lead time that makes the final product something that the public absolutely expects and eagerly anticipates from the Hakkasan Group. “It has an intimate nature. A jewel is very precious” McCabe revealed. Those interested in visiting the venue in the future can sign up on the newly launched website jewelnightclub.com, giving them the opportunity to receive inside information, updated news and announcements. Guests can also find JEWEL on Facebook, Twitter and Instagram.